Way before I really understood how much I hate unthiking conformity and the collective putdown of those who dare to chart their own idiosyncratic course in life, I fell in love with The Addams Family, courtesy of the Hanna-Barbera animated series. 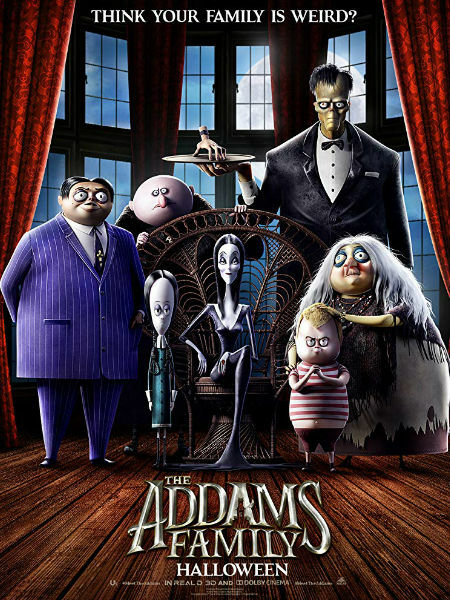 Based on the gloriously dark and socially-incisive New Yorker cartoons of Charles Addams, the cartoon series (1973-75), the ’60s TV series and a slew of other movies, comics books etc all celebrated the fact that the Addams were their own very distinct selves and were not ashamed, and not should they have been, about it. For a kid growing up in the church where conformity and condemnation of those who flaunted it was everything, the Addams Family were a glorious breath of fresh air, proof that you could live your own life and to hell with the consequences.